Please note this article was first published in 17 Feb 2010. Its content may now be out of date. We recommend taking a look at more recent website building blog posts or check out our comprehensive support pages. If you are looking for information on our 14 day free website builder trial we have a large number of webpages that guide you throug the process. There’s a lot of confusion about search engines and how they work and some of the advice and ideas can actually hinder your search engine position rather than help it. Fortunately, as a Reason8 Website Builder, you don't need to worry too much as we're actually quite good at this SEO lark. False: One of the most misleading and harmful myths is that effective optimization is controlled purely by meta-tags. 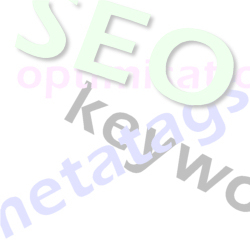 Many believe that all you need to do is include a heap of meta-tags within your pages, i.e. 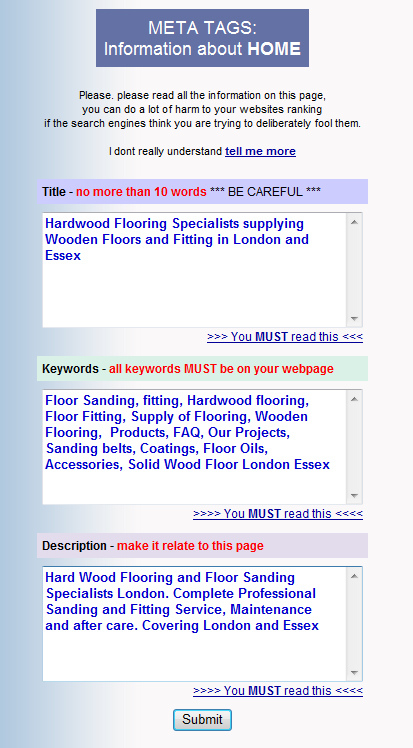 Keywords and Description tags, and then submit your site to the search engines. True: This is totally wrong and harmfully misleading for website builders. Most meta-tags aren't that important, or aren't used by search engines at all. If your page content doesn’t feature the same keywords as those listed in the background of your site, meta-tags can be a complete waste of time and the search engines won't index what you need them to index. This is where your DotGO website optimisation is very clever. It chooses the best meta-tags from the content you place on your pages so you can rest easy in the knowledge that your keywords are present in all the right places. False: Submitting your domain to the search engines will guarantee that they will index your pages. True: Incorrect I’m afraid. Submitting your domain once to a load of search engines could get you noticed but it’s ongoing submission and optimisation that ensures a good position. The only way you can guarantee getting your pages indexed is by verifying your website with the search engines, which is why your DotGO control panel now offers an easy step by step wizard to help you get verified. The same system also produces a map for your website site, called a sitemap, which make’s Google’s job even easier. False: Pay per click is the only way to generate traffic. Pay per click can be a great tool when it comes to your website's marketing but it is far from the only way to effectively generate response. True: It can be reliable if managed well, but it can also be extremely expensive to generate that all important response so can become a bitter sweet solution. 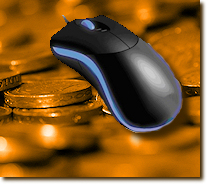 Many companies can’t afford to use PPC because the clicks become too costly for their particular business. Click prices will also very likely continue to rise as search engine marketing continues to be such a hot topic. The increase in pay per click has been caused by a lack of search engine optimization knowledge. Knowing how keywords, meta-tags and search engines operate and how to manipulate them is just as effective at achieving a great position under the best keywords. Fortunately, your DotGO website comes with plenty of search engine optimization knowledge built in and the whole structure of your website has been built with search engines in mind. Many DotGO Website Builders have enjoyed a real feeling of smugness as they find their websites moving up next to websites which have cost an arm and a leg to get to the same position. Please remember, this article was first published 17/02/2010. The content may be out of date and you cannot post comments any more. Please check out our new blog.